Urban Meyer may have shamed Ohio State to the point that they've put him on administrative leave as they investigate the ongoing situation, but he's still receiving support from NCAA football fans. In an ironic way at least. 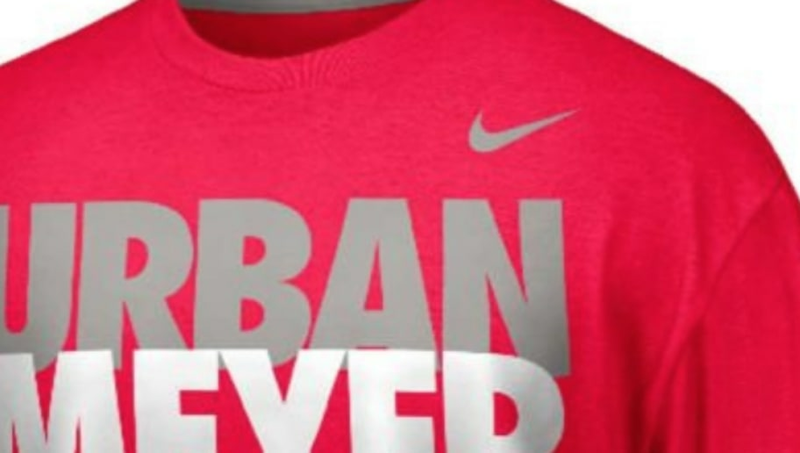 Ohio State had previously been selling "Urban Meyer Knows" t-shirts which have sold out online. ​​This isn't in a fun "Bo Knows" find of way. It's in a "this guy needs to get fired because everyone is already mocking us" kind of way. It's insane to think how terribly ironic these shirts are. For those who don't know, Meyer is currently under investigation for allegedly knowing that his former wide receivers coach was abusing his wife and was doing nothing about it. You normally like when your coach is in the know, but this is not one of those times. ​​Ohio State can't pull these off the market fast enough. Before they know it, these are going to be all over BIG 10 campuses as they abuse the powerhouse for their newest black eye.